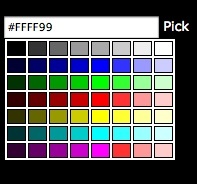 A color picker allows the users to preview the color and select it by clicking on it. It is useful when you want to provide some customization for the user (for eg: select a background color, letter color etc). But I think is a very useful piece of code in the admin side of a CMS site (Select font color, theme color or anything that you can imagine). 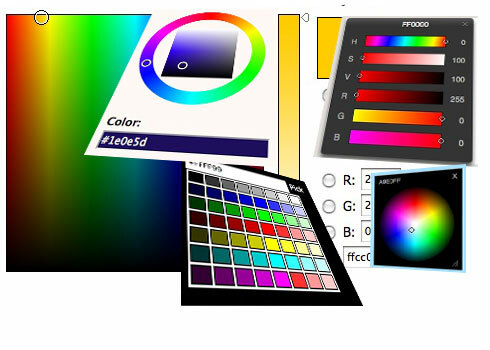 There are simple scripts which generates a simple web safe color palette to advanced ones which generates a color palette like Adobe Photoshop. It can handle web safe colors and grays. Triggering can be customized in many ways. Files can be downloaded separately according to your needs. It also supports popup window. It is a small script – just around 8KB. But if you wan to show more colors, you can’t use it. Also, the license states that it should not be modified and the link to the site should not be altered. License states that script should not be altered. Also, the link should not be removed. It is a good and very easy to use script when you want to show more colors.
. Choose one that matches your required style. 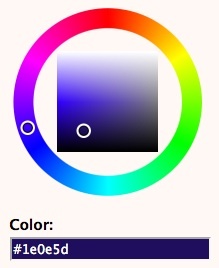 Farbtastic uses layered transparent PNGs to render a saturation/luminance gradient inside of a hue circle. No Flash, no pixel sized divs. 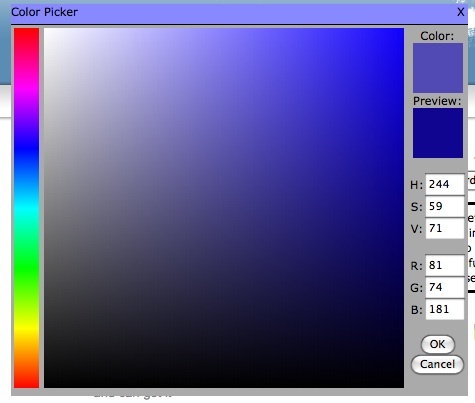 It is a lightweight color picker. 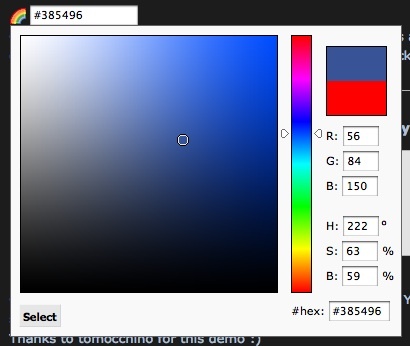 It is a simple color picker which is useful when you want to show a defined set of colors and the user should select only from them (For eg: To select a theme color in web sites). 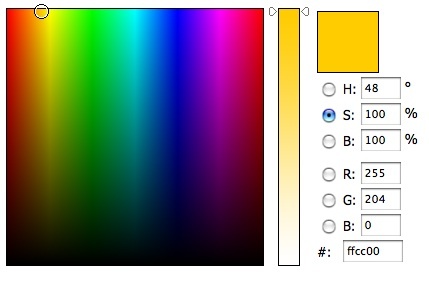 The Color Picker displays a Hue selection bar Saturation/Value selection box, Text fields for entering HSV and RGB fields. 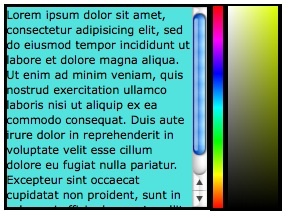 The dialog for the color picker is drag-able and there are many actions that you can attach function calls to in order to allow your application to respond to events in the Color Picker. The size of the Hue Bar and the SV Box can be set to any size using options. 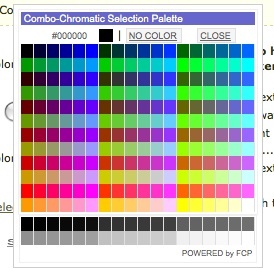 The elements of the Color Picker can be styled to match the design of your site. 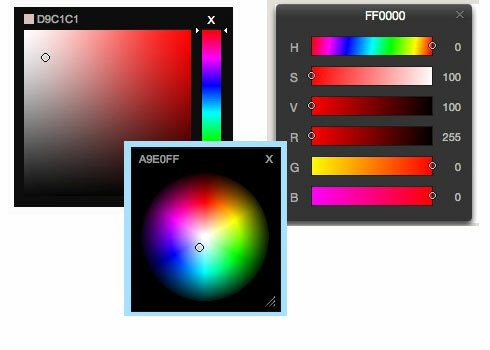 It is a photoshop like color plugin built on prototype library. 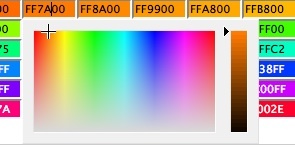 It is a simple color picker which support web safe palette.